Mr. Mahendra Singh himself is a distinguished person known for his contribution to Rajasthan Tourism at large. 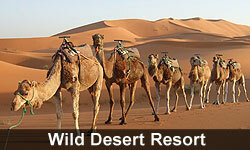 He is also a frequent writer on the tourism aspects of Rajasthan. This restaurant is now counted among the top 03 Restaurants of Jaisalmer. Countless Reviews can be found in different Travelers Handbooks mentioning the exotic Dishes and a very Warm Hospitality.Junction Palace serves both Non-Vegetarian and Vegetarian Cosines to its guests. For this there are separate kitchens to provide comfort to Vegetarian guests also. Among the top Cosines available are Indian Italian Continental, Chinese and not to forget Indian. Activities like Folk dance and music, keep the visitors hooked to the delight of eating food at the restaurant.